I remember the day when I got my first computer and it had an AMD Sempron processor in it, the first thing on my mind was whats an AMD and why is it not an Intel processor. This was the time that Intel held on to the lead so strong that they held on to it for a good decade. The problem with being on top is that you will forget that your rivals are always there in your shadow waiting for the right moment to strike just when you drop your guard. 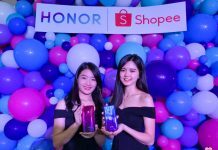 Just when the time was right AMD announced the Ryzen processors and showed us (or better yet, open our eyes) to a new and dare I say the better alternative to what Intel was providing. 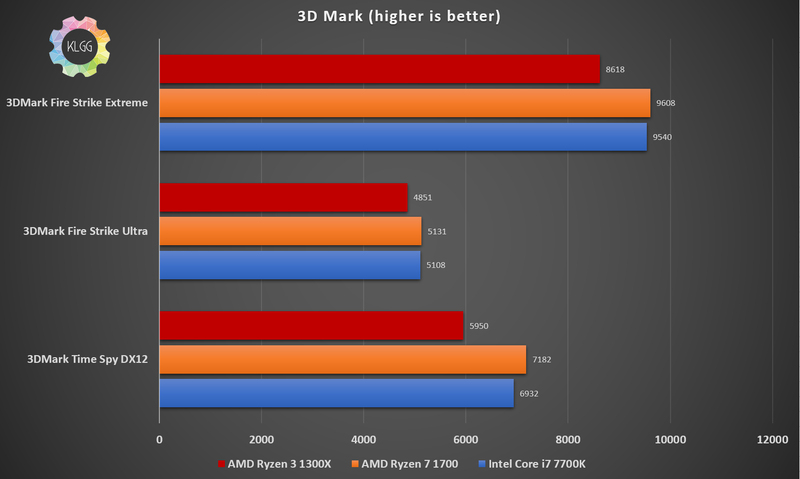 We reviewed the Ryzen 7 in the past and that was beast beating its Intel counterpart in almost every test we performed. Today we have the Ryzen 3, the lowers tier of all the Ryzen processors but, never let that fool you because this little guy will impress you in more ways than one, even with its short comings. The Ryzen we have in our hand is the Ryzen 3 1300X, the highest end Ryzen 3 that you can get your hands on. So let’s begin with the test bench we are using. Initially, we had a sinking suspicion that this powerful graphics card might show signs of bottlenecking the processor when we found out it did not, we decided to keep that shiny graphics card on the board because, well why not. With that out of the way, let’s look the processor for a bit. The Ryzen 3 1300X is a 4-core 4-thread processor, runs at 3.5GHz with a Max Turbo core speed of 3.7Ghz, an L3 cache of 8MB, runs on a low 65 watts of power and comes with AMD own Wraith Stealth. 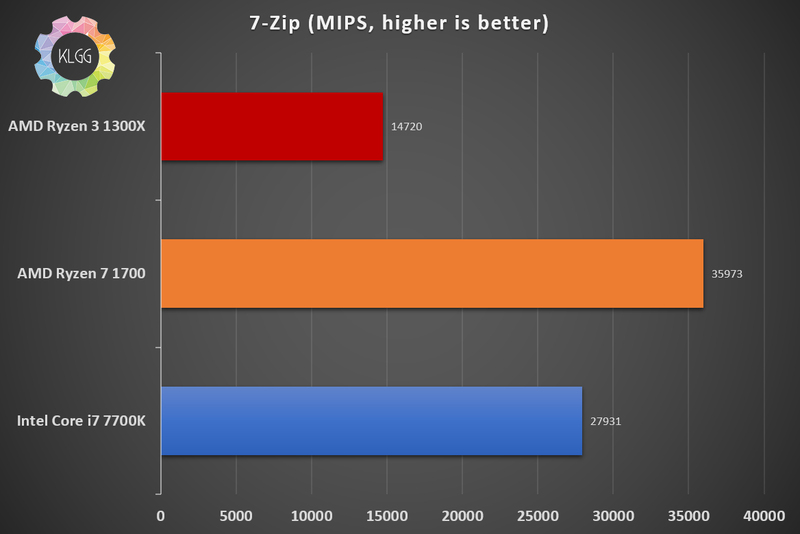 For the sake of comparison, we have included the previous results of our test comparing the Ryzen 7 to its Intel Core i7 counterpart to give you a rough gauge on the difference you will get when choosing the highest and lowers tier of the Ryzen family. 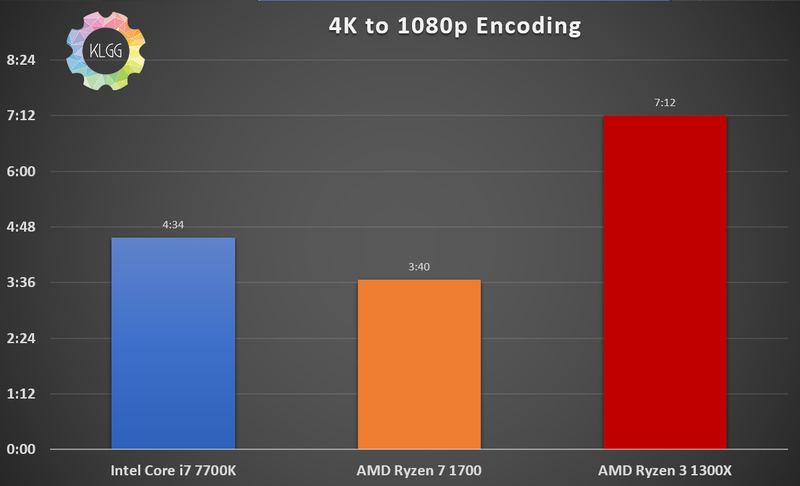 As the graft above shows, the Ryzen 3 comes really close to its older cousin and its Intel counter part. 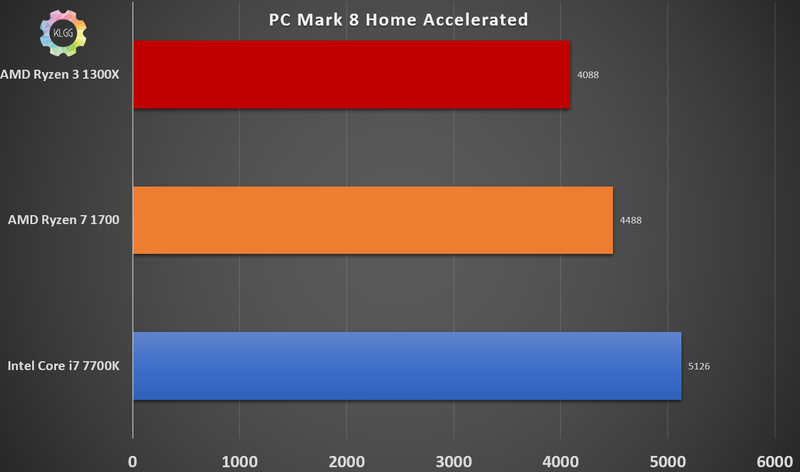 Not really a surprise here as the Ryzen 3 does not have the same amount of threads as its cousin and fast enough clock speeds to come close to the others. However taking an extra 2 minutes to complete the encoding is admirable enough comparing it to the Intel i7 processor. Here is where the processor falls behind but that is also due to the lack of an extra thread for each core putting it behind its cousin and the Intel i7. 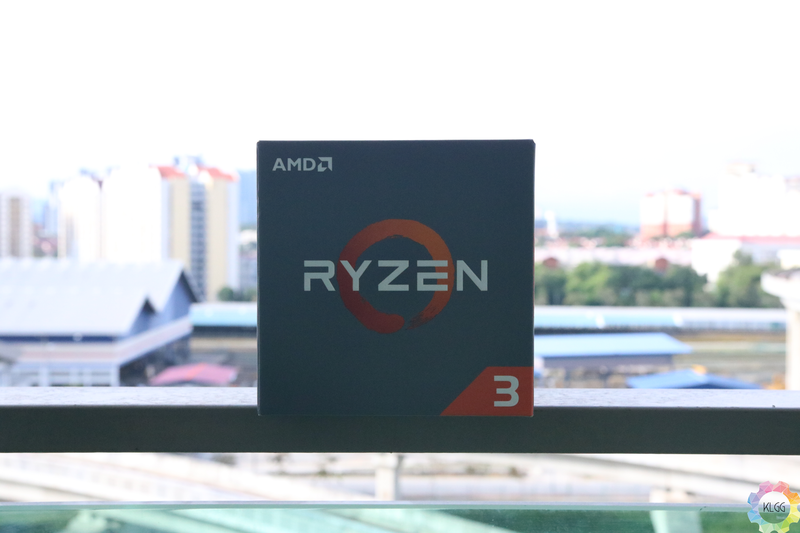 All we can say here is a good effort to the Ryzen 3 processor. Perhaps giving it that extra thread would at least help it be closer to second place. 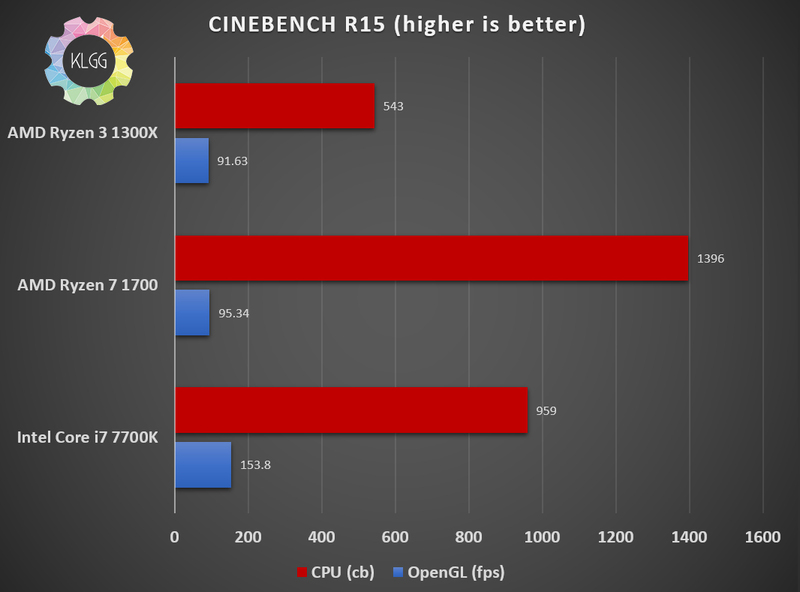 Cinebench benchmarks will make your processor cry and in this case, the Ryzen 3 did let out some tears but it did come very close to its cousin in the OpenGL test, telling us this small guy still can dish out some punches if it needs to. 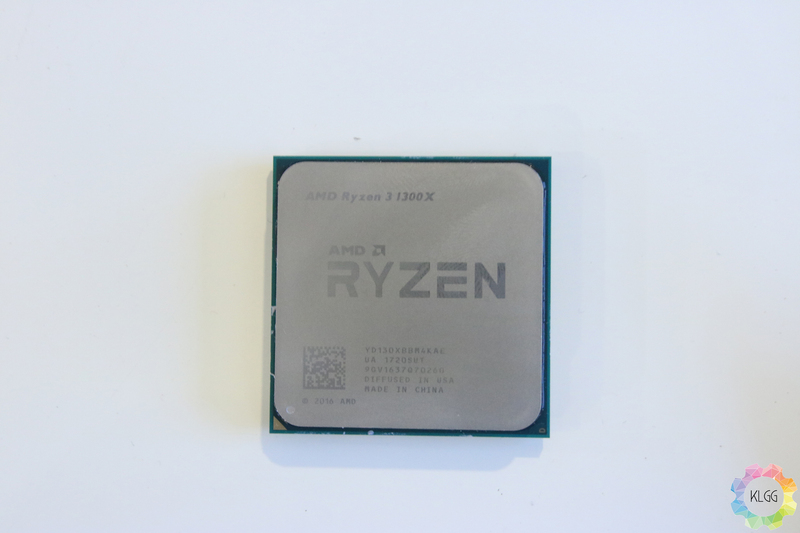 This test was to show how the processor handles when it comes to a simple task like video conference, web browsing and other simple day-to-day task and it comes very close to its cousin which shows us again when the Ryzen 3 is called to duty, it delivers. In this part of the test, I was slightly disappointed as the processor has the same idle and load temperatures as my AMD FX-6350 at home. This is probably due to the Wraith Stealth stock fan that they have provided. 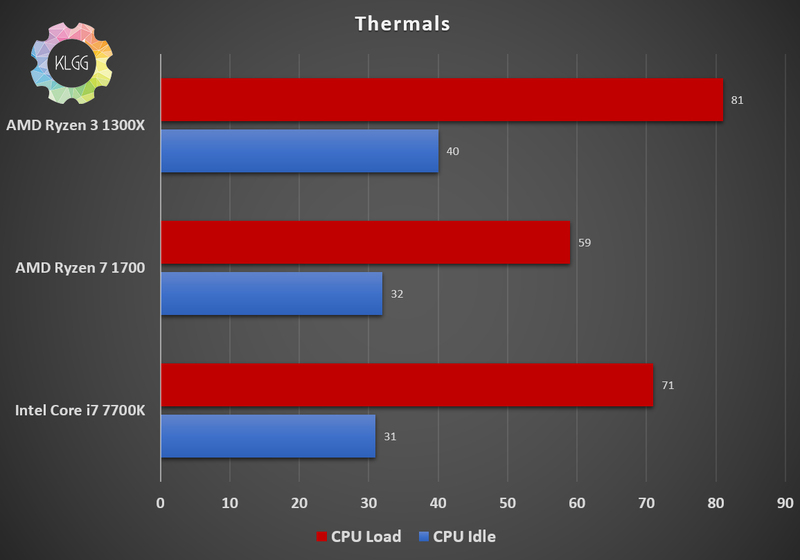 If you want to see better thermals on your Ryzen 3, I suggest you get a better cooler for it, but don’t worry as AMD has stated that the processor has a max temp of 95 Celsius. 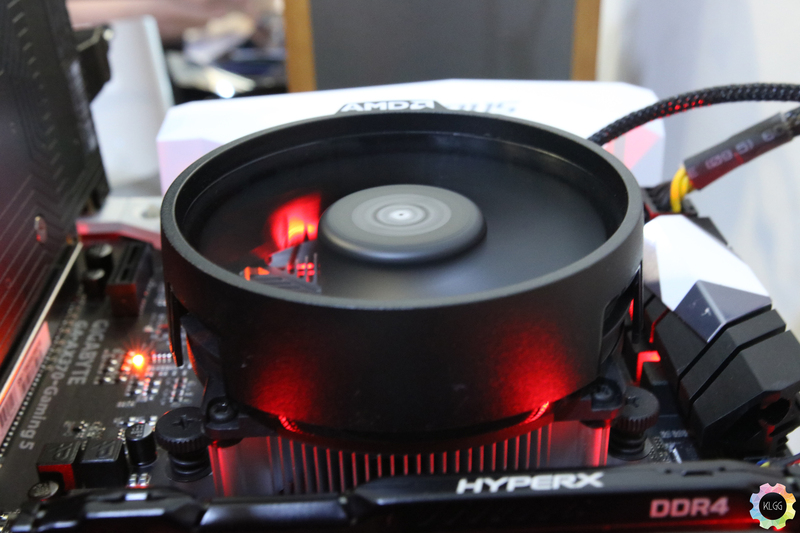 Finally, we come to the part that seriously blew me away, I tested out a few games that can be considered pretty demanding even on latest systems, but did the Ryzen 3 falter? No, it rose up to the occasion and said: “bring it on”. Do note, that all games were set to the high preset and with VSync turned off. 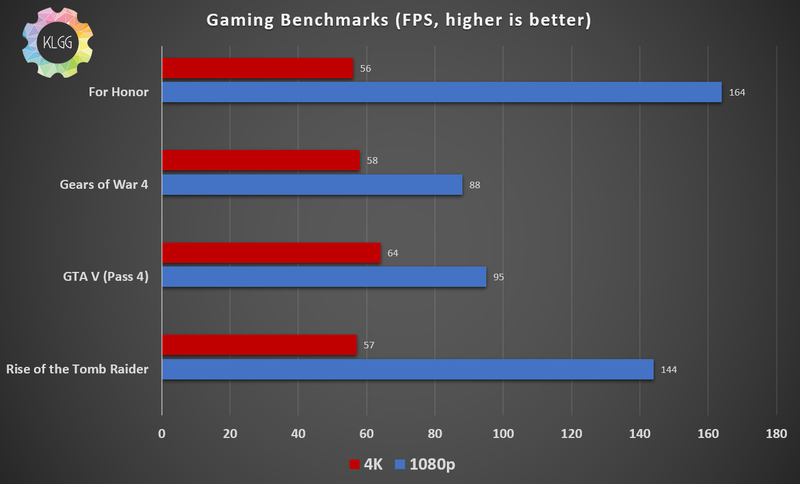 I decided that it would not be a fair fight to compare it to the Ryzen 7 or Intel i7, as those two are capable to run games in 4K, but giving the Ryzen 3 4K gaming, shows that it is still capable of running them well within the 50-60 FPS range, which is still not too bad but definitely not meant for competitive gaming. Bringing it down to 1080p and the processor shined like a diamond, producing frames well above 80 FPS, making it ideal for any type of game mode. If you are fine with playing games on high preset and in 1080p, then the Ryzen 3 1300X will be the perfect fit for you, with its good balance of gaming performance and everyday task. 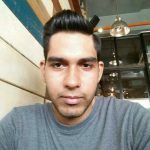 However, if you are planning to do heavy load work then it is recommended that you get a third-party cooler, as the stock cooler provided could not keep the temperatures at bay. Overall I am extremely happy that AMD is back and proving that everyone can own a powerful computer without breaking the wallet.